If I had a dollar for every time that I've mentioned that I'm from Portland, Oregon and someone has responded, "isn't that where young people go to retire?" I might actually be able to retire. Portlandia jokes aside, it does seem that there is a contagious spirit of dream chasing here in the Rose City. Between iconic worldwide brands, game changing creative agencies, and high-quality locally run businesses, Portland offers its residents a chance to work towards their dreams all while maintaining a great quality of life. I had the pleasure of receiving a media pass to Don't Quit Your Day Dream, a speaker event at the new Fox Tower Umpua Bank, where five local entrepreneurs shared their successes, their failures, and their business lessons learned along the way. 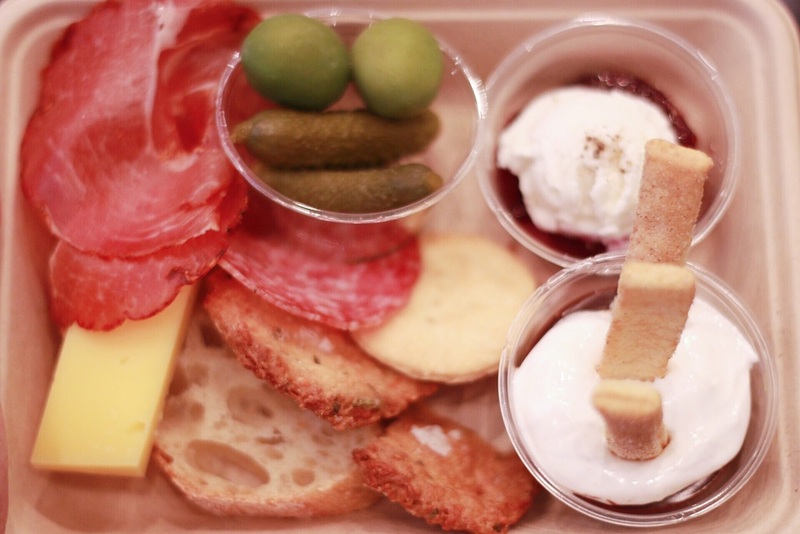 We were well-fed with delicious, and I mean delicious, snacks + charcuterie boards from Cheese & Crack Snack Shop and well-hydrated with beer from Breakside Brewery. Breakside Brewery has long been one of my favorite Portland breweries and it was so fun to hear the story of the brewery's humble beginnings from owner Scott Lawrence. Each speaker brought forward different pieces of advice and personal anecdotes for making daydreams a reality in the Portland business market. All in all, it was an inspiring evening well-spent with delicious food and beer, great conversation, and a whole lot of laughs. Do you have any favorite, local start-up stories?